I think it’s safe to say that Israel is very much not on the average traveler’s radar. 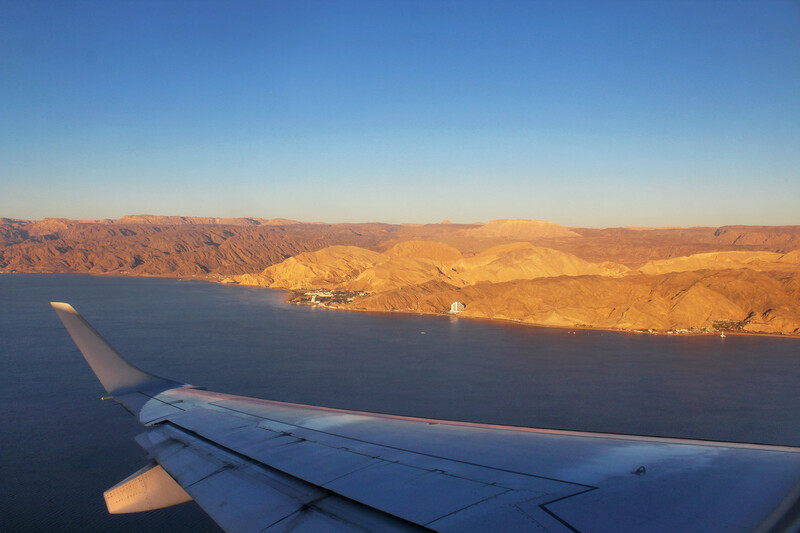 This is not surprising, though, as Israel is definitely not your average travel destination. It is perceived to be a tricky country to traverse, and as a visitor, there are several things that you might want to look into before you arrive. But does this mean you should avoid traveling to Israel? Not at all. 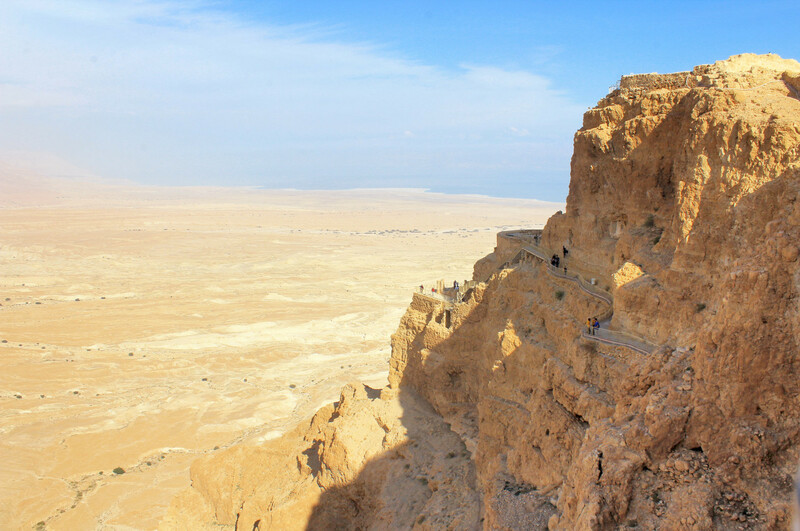 Israel is a lot of things, but most of all, is a country of beautiful scenery, magnificent cultural heritage and surprisingly friendly and warm people. I really loved my time there. Most western countries citizens need just a passport to come to Israel: no visa is required. Just be aware that your passport must be valid for at least 6 months from the date you enter the country. You can find a list of countries that do not need a visa here. Evidence of a previous visit to certain countries in the region (like a stamp in your passport) does not prevent entry into Israel, although it definitely lead to additional questioning at the border. There seems to be some confusion about whether you are banned or not from certain countries if you have an Israeli stamp in your passport. The good news is, it doesn’t matter! Israeli immigration no longer stamps your passport, so you can actually travel to many neighboring countries that do not recognize Israel. On arrival, visitors are given a loose paper visa instead of a stamp to avoid any other issues. Just make sure to keep this card with your passport until you leave, as this is proof of your legal entry into Israel and may be requested at any crossing points. Think about it and you’ll totally get why. General security checks are fine, but to be honest my experience entering and leaving Tel Aviv was annoying, to say the least. Prior to my trip I had been warned that flying in and out of Tel Aviv’s Ben Gurion International Airport could be a rather difficult process (even more so when you have one of many potential “suspect” stamps), but I was still a bit surprised. For your personal enjoyment and to help any travelers that are planning a trip to Israel, I’ll try to briefly sum up my experience. Different interviewers repeatedly asked me the same questions over and over again. While planning for my trip, I had also read that all passenger were given a sticker to attach to their passport for all security staff to see. I read that, while the barcode is mainly used for tracking purposes, you can find out how much of a security threat they view you as by the first number on the sticker. One is the lowest threat level and six is the highest. During the interview I tried my best to keep it together and provide honest answers, but while I really didn’t think I could look like a dangerous weirdo to anyone, the security system did not agree whatsoever. I looked at my sticker, I was a freaking 5. Thanks to that, my bags were x-rayed and hand-searched for like a bajillion times. The security is far more intense at Ben Gurion than at any airport I’ve visited and it takes considerably a lot of time to navigate the multiple tiers of security, but this is totally understandable given the challenges the country faces today. My advice – be sure to get to the airport at least 3 hours before your flight. I felt safe during my entire trip to Israel, I really did, and I won’t go on too much about this topic here as I’ve already shared my thoughts in a previous post. It is important to point out, however, that although Israel can be visited without issue, conflicts can arise and escalate quickly. Just make sure to follow the international news and double check before you leave home. Israel is probably far more expensive than you think. Don’t expect to get by on $30 a day – it’s just not going to happen. Hotels are very very expensive, and so is food. You can save money on food by getting delicious felafel sandwiches at the street side stands or by shopping at the local markets. Try to stay at a hotel where breakfast is included in the price. Try to stay at a hotel located within the walkable center of Tel Aviv/Jerusalem. Opt for shared transport whenever possible, like Flo Shuttle or regular sheruts. Of course you won’t need to sell your house to visit Israel, but if you can, take a bit more money than you think you’ll need. Don’t get freaked out if you happen to walk by a soldier with his gun. Military service is mandatory for both men and women, so it’s totally normal and quite common to come across uniformed soldiers with weaponry on the streets. Yes, it might be shocking at first to see huge assault rifles and pistols over cute guys around the country, and I can completely understand if you find the image alarming. It’s bizarre to many foreigners, but for Israelis it’s part of everyday life and you’ll soon get used to it. In fact, you might even feel reassured knowing Israel takes its security and safety concerns very seriously. One thing to take note before you travel to Israel is that Saturday is the Jewish day of rest, called Shabbat. You will notice that most businesses, such as stores, supermarkets and public transports, do not operate during this period. In most cities mass transportation shuts down for the Shabbat but, there are taxis. Most shops, restaurants, museums and tourist attractions are closed, whilst most of the outdoor places are open and busy. Be sure to plan ahead if you’re arriving in Israel on a Saturday! Israel is a unique country with many cultures all contained in one very small strip of land. There are modern cities such as Tel Aviv where a liberal, carefree attitude and modern lifestyle prevail and everyone can dress as they please. 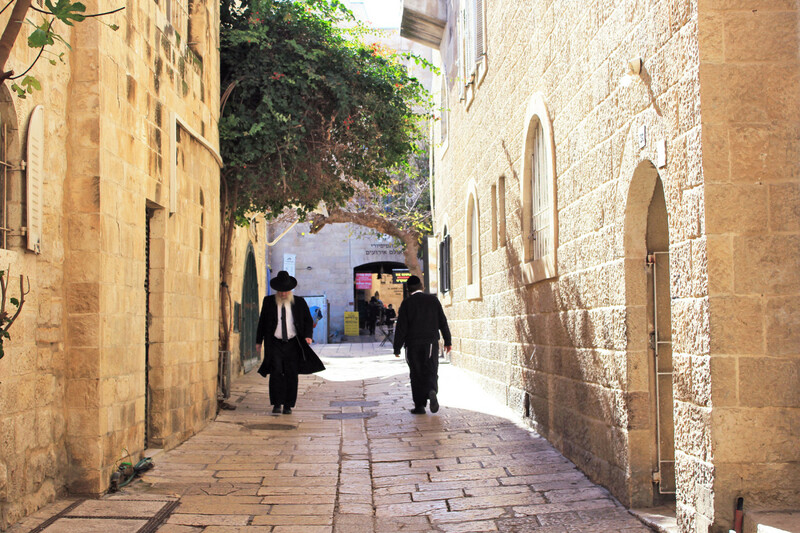 There are also, however, other areas like Jerusalem’s old city, Tsfat or the West Bank, where you will need to dress and act more conservatively. Avoid wearing anything too revealing, especially if you plan to visit the city’s religious sites. Women are usually expected to wear a midi or long skirt or trousers and a long-sleeved shirt, whereas men should wear long trousers and a long-sleeved shirt. Men also cover their heads in Jewish religious sites. Israel’s history is very complex, old and new at the same time. 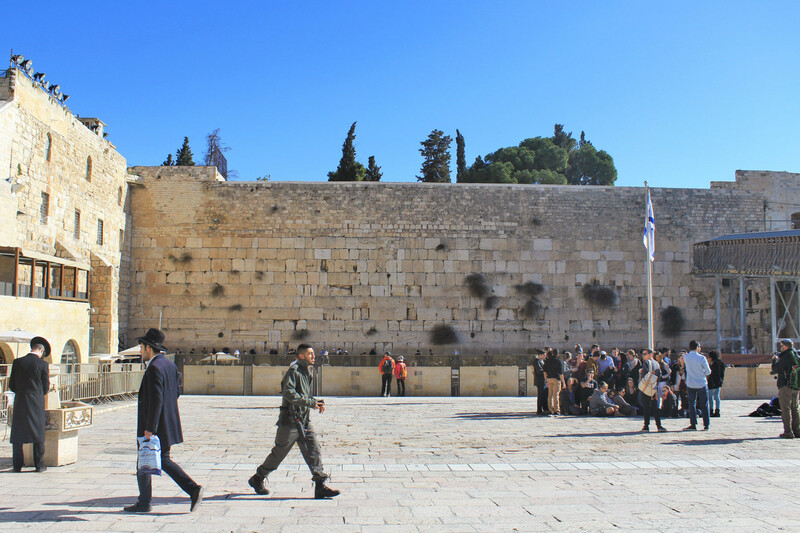 Visiting Israel is a great opportunity to deepen your knowledge of the history and politics that surround the region. The thing is, we all hear about the West Bank on the news, but we rarely get an insight of the culture and history of the region from a direct perspective. Use this trip as a chance to understand the country better. Israel is very very small, so to travel from one end of the country to the other doesn’t take long. This means that taking a day-trip or 2 days-trip is very easy and you can manage to see quite a lot. Also, walking is a good idea inside most cities. You are totally welcome to use the traditional greeting shalom when you visit, as it will help you blend in with the locals. The literal translation of this greeting is actually “peace”, but it is used for both hello and goodbye. Natives usually appreciate it when visitors make an effort to speak in their native tongue. You can also try to memorize todah (thank you) and slicha (sorry; excuse me). Also, if you really love food (that’s cool, let’s be besties) you’ll learn Be te’avon real quick — it’s Hebrew for “enjoy your meal”! Do ask questions if you want to and listen to what locals have to say. Israeli citizens are nice and very proud of their culture, and they usually enjoy talking about their country, your country, sites to see and sometimes even religion and politics. 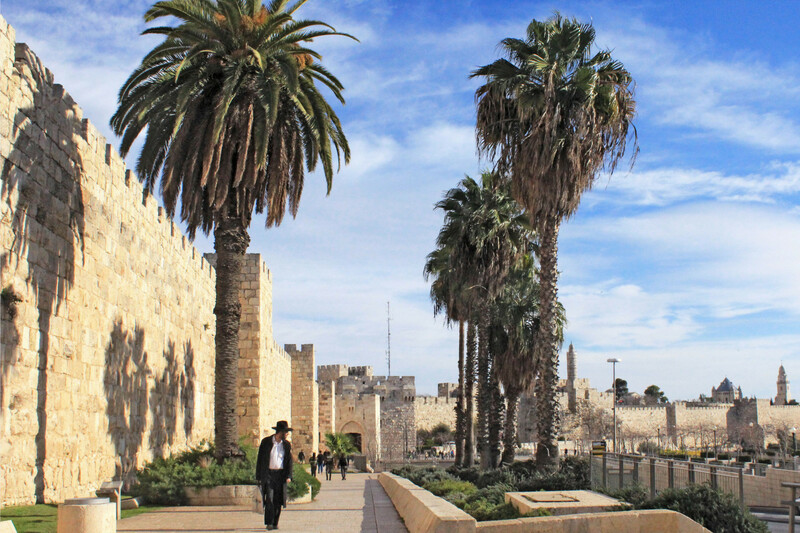 There is no better way to get a taste of the real Israel than this – and that is what you’re there for!